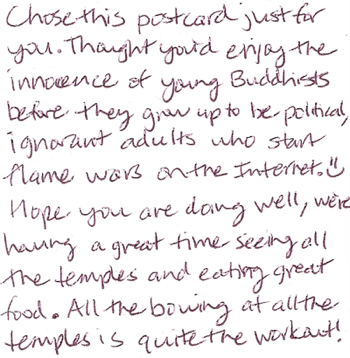 This postcard made my day. Now back to work. Maybe I’ll go start an ignorant, political flame war at lunchtime.